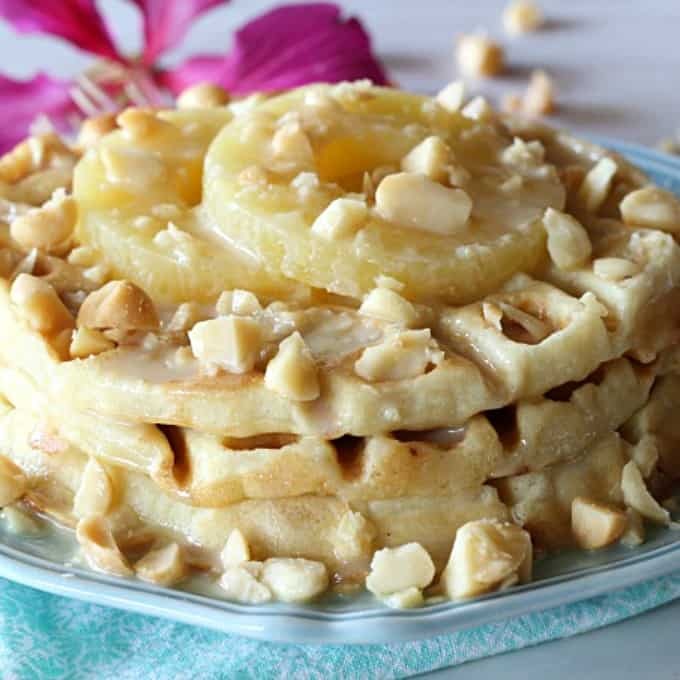 Pineapple Mac Nut Waffles – a tropical treat that’s worth waking up for! 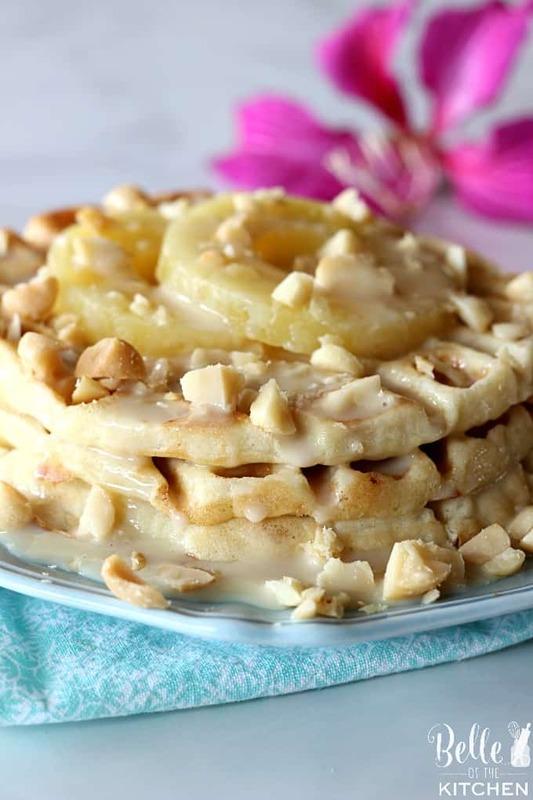 Homemade waffles loaded with chopped pineapple, macadamia nuts, coconut, and more. You’ll love this Hawaiian inspired breakfast! Aloha y’all! 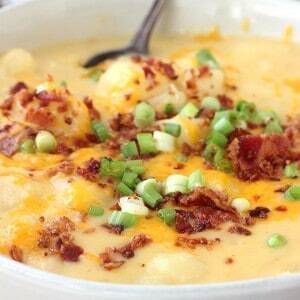 I am super excited to share today’s recipe with all of you. I’m honored to be participating in Hawaiian Foods Week, a period that is dedicated to celebrating the unique foods and flavors enjoyed out here on the islands and sharing them with all of you! The goal of Hawaiian Foods Week is to help everyone learn to enjoy and appreciate Hawaiian cuisine, no matter where your “hale” is! As most of you know, I am a lucky girl who has gotten to spend the past three years living on the beautiful island of Oahu. With our move back to the mainland inching closer day by day, my heart feels heavy knowing that I will soon have to say goodbye to the aloha state, a place that has truly become home to me. I will miss SO much about Hawaii, from the beaches, the mountains, the aloha spirit, and of course, the ono local food. One of the best ways to truly experience the culture of Hawaii is through its local fare. I mean, you just can’t leave Hawaii without trying some of its signature dishes, like a plate lunch, a loco moco, spam musubi, lau lau, fresh poke, and of course every luau’s shining star: kalua pig! There are so many amazing foods that you can try while you’re here in Hawaii, but sometimes making a trip out to the islands just isn’t an option for everyone. Airfare ain’t cheap, y’all! But never fear! 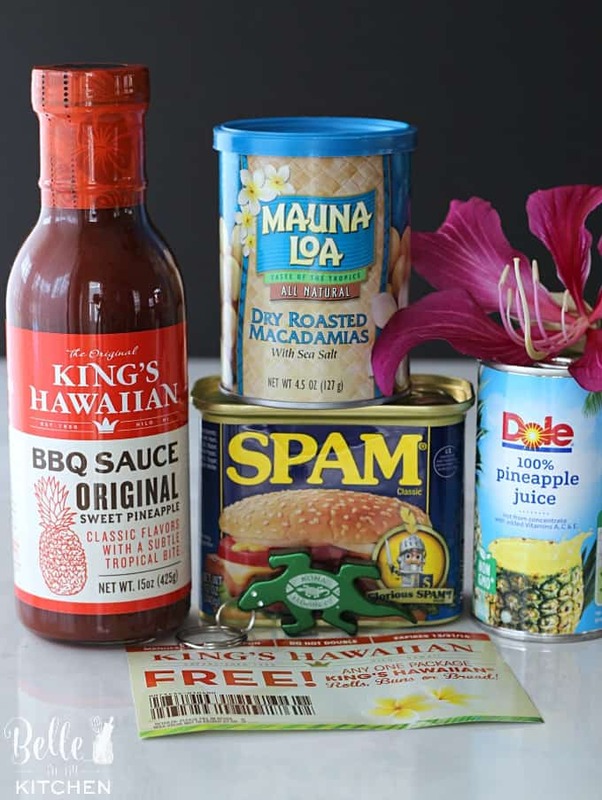 You can make plenty of these local style dishes right at home without ever having to hop on a plane thanks to the sponsors of Hawaiian Foods Week, including King’s Hawaiian, Dole, SPAM®, Kona Brewing Co. and Mauna Loa! 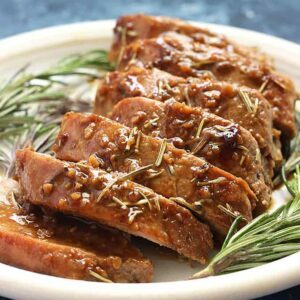 They sent me so many awesome goodies to choose from when creating my recipe for Hawaiian Foods Week, and I had a tough time narrowing it down! Ultimately, I decided to make a decadent, island inspired breakfast treat for all of you! 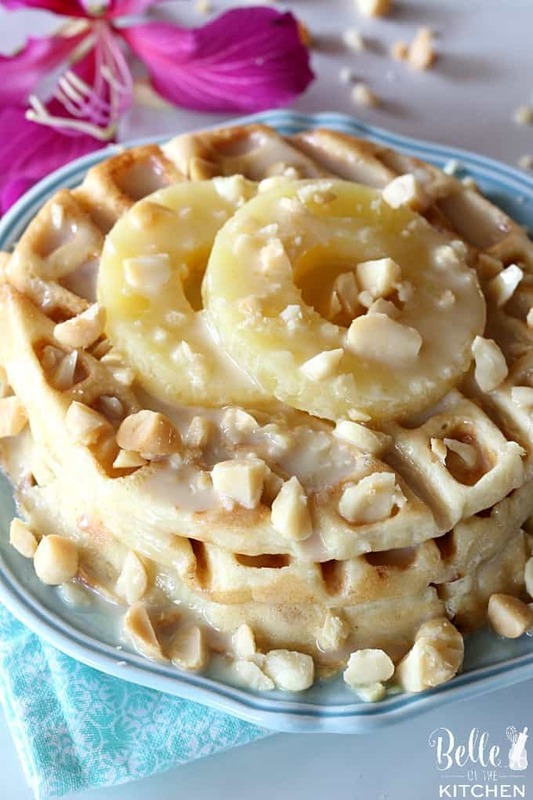 These Pineapple Mac Nut waffles are loaded with juicy DOLE Pineapple Slices, and delicious Mauna Loa Dry Roasted Macadamia Nuts. There are a couple different types of pineapple sold out here in Hawaii, but Dole pineapple is my favorite. It is always perfectly sweet, high-quality, and Non-GMO. I also love Mauna Loa Macadamia Nuts because they have a rich history in Hawaii (over 70 years!) and are readily available all over the United States. They come in tons of different flavors, even SPAM! These Pineapple Mac Nut Waffles taste best with coconut syrup drizzled over the top and some more mac nuts sprinkled on for good measure! Yum! Is it breakfast time yet?! For more info on Hawaiian Foods Week, be sure to check out the participating brands on Facebook. You’ll probably see more yummy food and recipe ideas! Turn waffle iron to high heat. In a medium sized bowl, combine flour, cornstarch, baking powder, baking soda, sugar, and salt. Mix well. Using a blender or food processor, blend together the pineapple, macadamia nuts, milk, melted coconut oil, egg, and vanilla until smooth. Stir wet ingredients into the bowl of dry ingredients, mixing until just combined. Don't over mix. Allow the batter to set for 10 minutes before cooking. Pour a small amount of batter onto the waffle iron (about 1/2 a cup) and cook until golden and crispy. Repeat with remaining batter. Serve with chopped macadamia nuts and coconut syrup (yum!) Enjoy! This is a sponsored conversation written by me on behalf of King’s Hawaiian. The opinions and text are all mine. I have family in Kauai and have visited a few times. This totally makes me wish I was sitting on the beach right now! 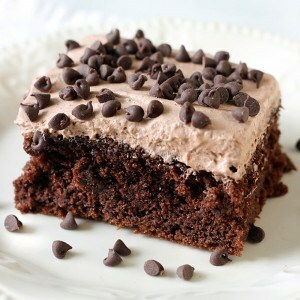 These look sinfully delicious!! I love macadamia nuts! I will be making these soon! These waffles look great! 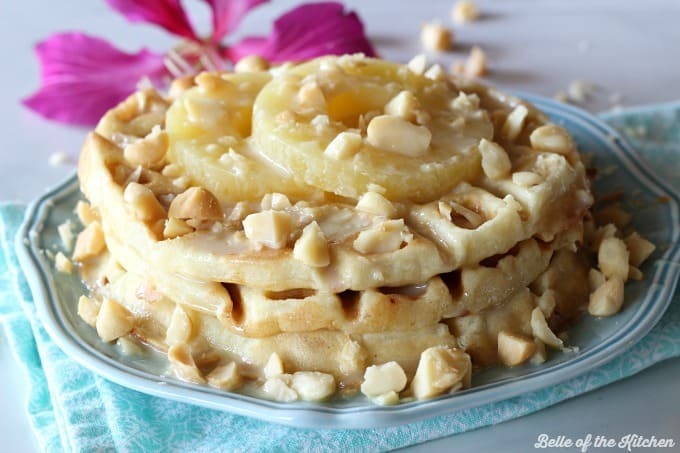 I love that you’ve used Macadamia Nuts with Pineapples! Sounds like a great combo! My children are ALWAYS craving for waffles! These look just so delicious, can’t wait to try them. At least if I have to look at all of this snow outside my window, I can have this for breakfast and pretend I’m in Hawaii! Looks amazing! These waffles sound amazing! It would be such a treat to replace my standard waffles with these one morning. This looks like the perfect tropical breakfast! 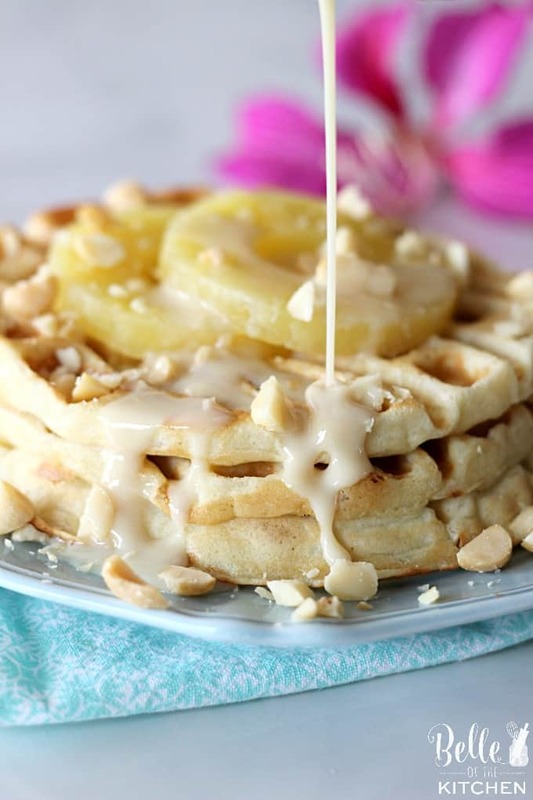 I’ve never thought about adding macadamia nuts to waffles, but now I want to try! The waffles will making an appearance soon! I love the addition of macadamia nuts! Oh my gosh! These waffles look like heaven! I just love macadamia nuts, but I only splurge on them every once in a while- they aren’t cheap, lol. 😉 But these waffles are definitely splurge-worthy. These look heavenly! Something you can make to bring you back to Hawaii after you have moved. I’ve never spent any time in Hawaii, but I’ve had friends who studied there and absolutely ADORED it. And this post makes me want to go visit and check it out myself. But in the meantime, we’ll just make these decadent waffles and envision ourselves on the beach! Oh Wowzers. These looks incredible. 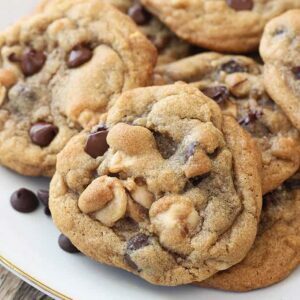 i want to eat them right now! I’ve sadly never been to Hawaii, but your waffle would take me there in a second with one bite. How fun, and how so very delicious! Personally I would rather come to Hawaii but I guess I will have to settle for these yummy waffles! They look amazing! Those waffles look so light and fluffy that I’m practically drooling over my keyboard! I love macadamia nuts, so this pretty much looks like my dream breakfast.